Previous Article Where Have All the Turtles Gone, and Why Does it Matter? Global warming could lead to the extinction of up to 10% of frog and toad species endemic to Brazil’s Atlantic Rainforest biome within about the next 50 years. The temperature and precipitation regimes predicted to occur between 2050 and 2070 will be lethal for species that are less well adapted to climate variation and inhabit certain areas of the Atlantic Rainforest. 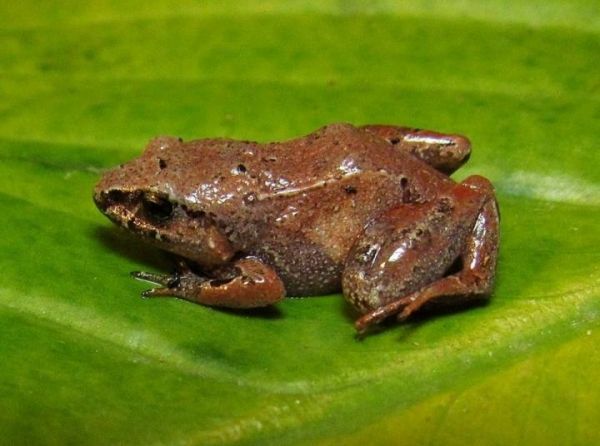 This is one of the findings of a study that analyzes the present and future distribution of anurans (tailless amphibians, i.e., frogs and toads) in Brazil’s Atlantic Rainforest and Cerrado (savanna) biomes in the context of climate change due to continuous global warming. A paper on the study has been published in the journal Ecology and Evolution. The first author is herpetologist Tiago da Silveira Vasconcelos, a researcher at São Paulo State University’s School of Sciences (FC-UNESP) in Bauru, Brazil. The study was supported by FAPESP under the aegis of its Research Program on Global Climate Change. The coauthors are Bruno Tayar Marinho do Nascimento, also affiliated with FC-UNESP, and Vitor Hugo Mendonça do Prado, a professor at Goiás State University (UEG).